Step through the composite front door and you will find a welcoming hallway with a great deal of natural light. 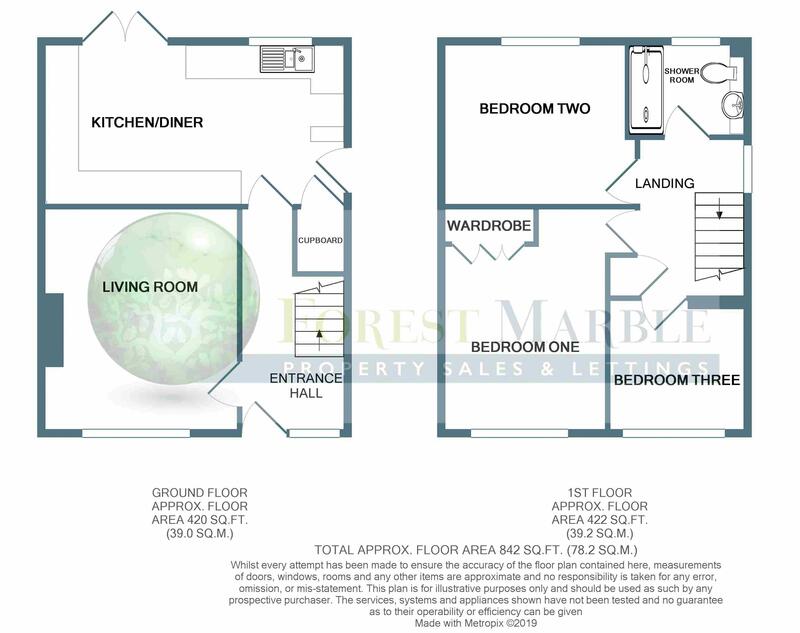 Doors lead to the living room and kitchen/diner whilst stairs with solid oak banister and spindles ascend to the first floor. 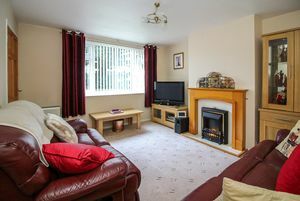 A great room in which to enjoy your favourite films or box sets. 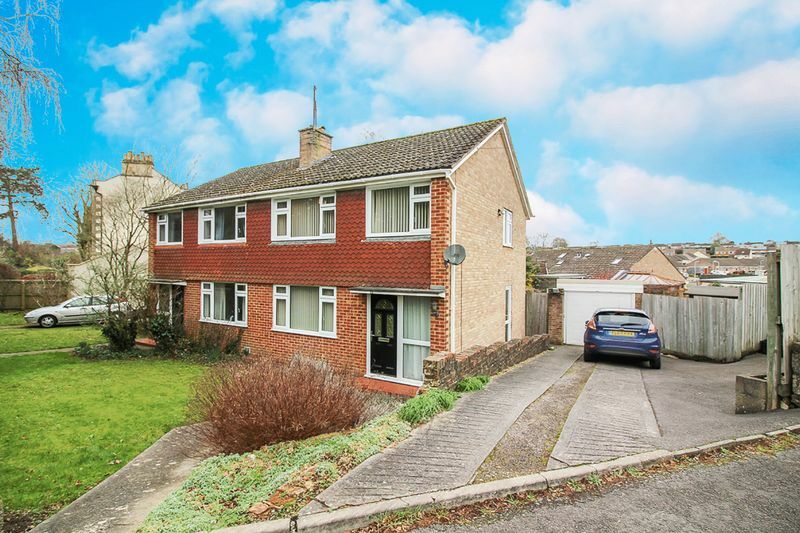 The large window to the front provides streams of natural light as well as a pretty outlook onto the front garden. 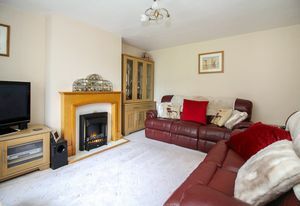 Set into the chimney breast you find an electric fireplace with attractive surround - perfect for relaxing in the winter evenings. Spanning the width of the house, the well designed kitchen/diner has a range of wall and floor units with slate effect work surface over, LED under lighting and stylish grey splash back. 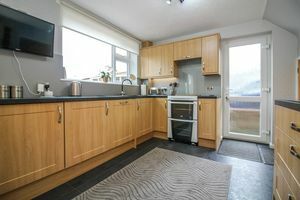 Set into the work surface you find a black composite sink with mixer tap over whilst integrated within the kitchen units you find a dishwasher, washing machine, tumble dryer, microwave and fridge-freezer. Space is provided for an electric cooker with a fitted cooker hood whilst the slate effect flooring ensures spillages are easily cleaned. 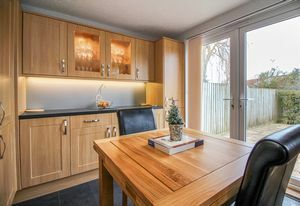 Natural light floods this room thanks to a double glazed door to the side, window over looking the rear garden and French doors onto the patio - ideal for dining al fresco. Arriving upstairs you are met with a light landing thanks to a window to the side. From here you have doors to each of the three bedrooms and the bathroom. This is also where you find the airing cupboard with hot water tank and shelved storage. The solid oak banister continues to the first floor and there is a hatch providing access to the loft space. The master bedroom is a good size double bedroom with space for bedside tables and a chest of drawers. This room features a three door fitted wardrobe and enjoys a lovely outlook over the front garden. 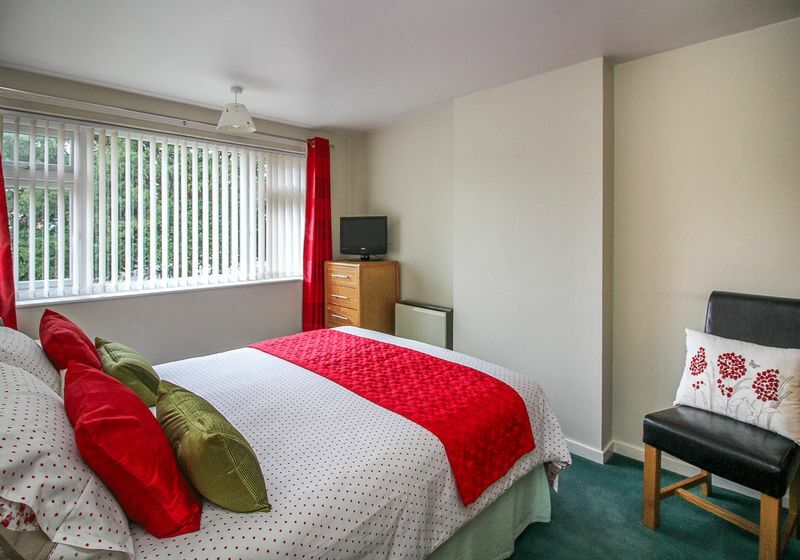 Another great size double bedroom, this room overlooks the rear garden has a roof top view over Frome beyond. This room has plenty of space for bedside tables, wardrobes and a chest of drawers. 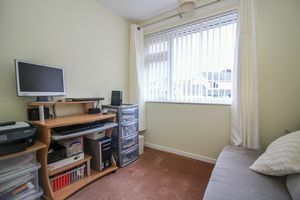 Bedroom three is currently used as an office but is a very generous single bedroom. 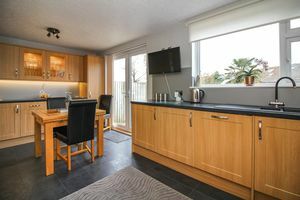 There is space for a bed as well as a selection of wardrobes and chest of drawers. 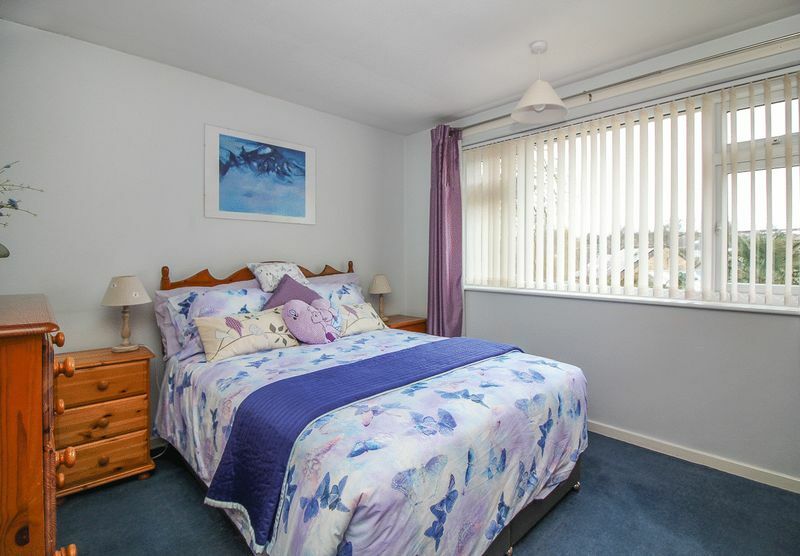 This bedroom enjoys a pleasant view of the front garden. 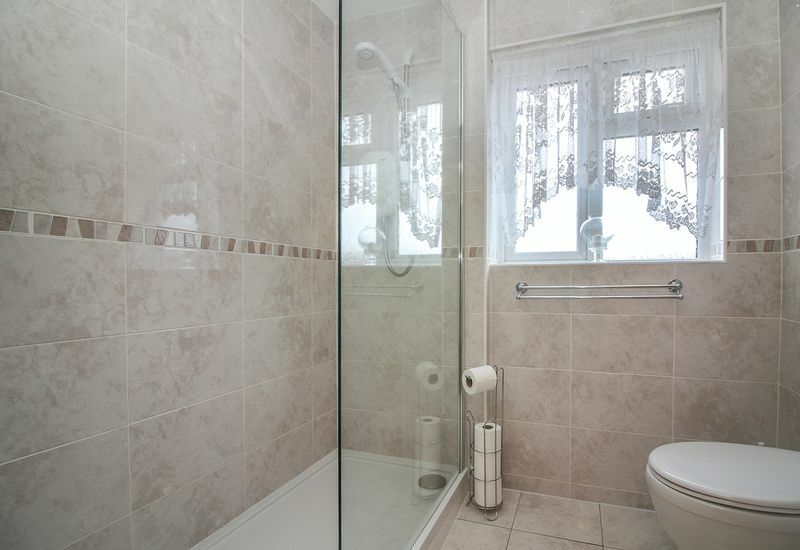 The fully tiled shower room has been done to a very high standard and features a walk in double shower with glass shower screen, WC and vanity basin with mixer tap. The tiled flooring even comes with the luxury of under floor heating and there are LED down lighters giving a modern glow. 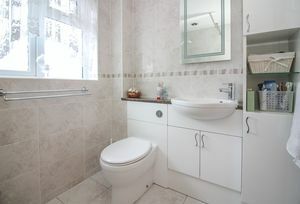 A selection of fitted cupboards and shelves even give you somewhere to hide away your toiletries. 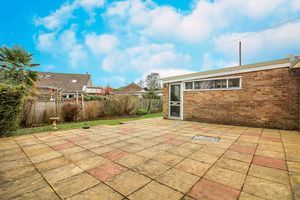 The outside space at this property is a stand out feature with its corner plot ensuring a great deal of space around the house. The front garden is laid to lawn with attractive shrubs and a stone wall border. 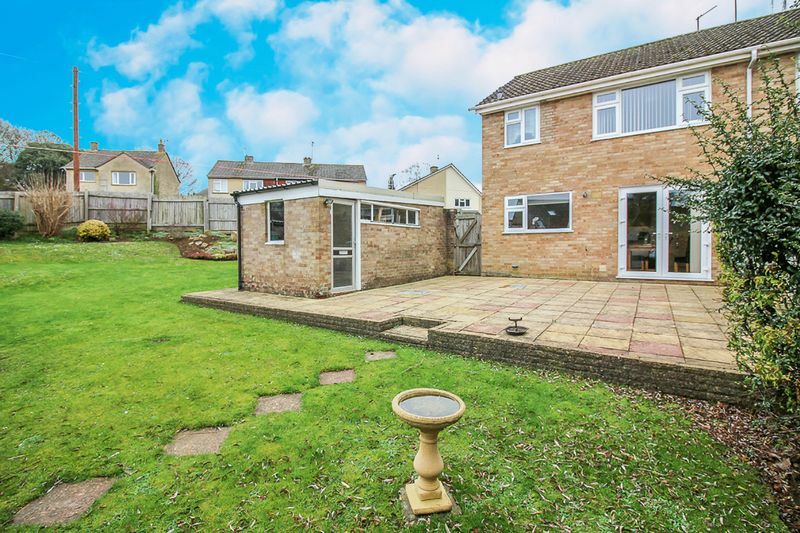 A path leads to the front door. 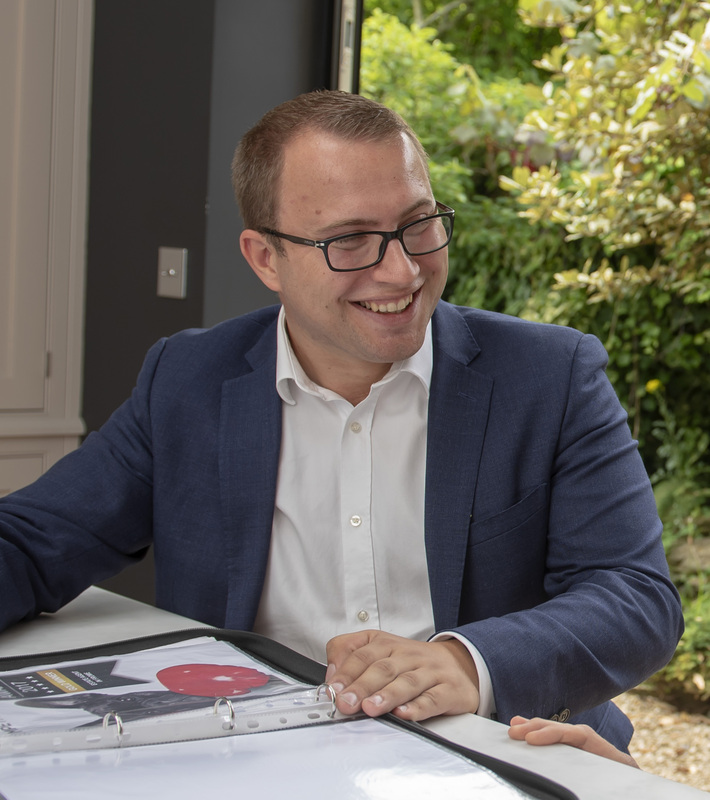 The rear garden has a large patio area accessed from the kitchen making it the perfect spot to enjoy your dinner with a glass of wine over the summer months. 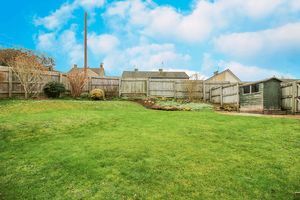 A vast area of lawn extends to the side of the house with an additional patio area which in all creates a fantastic amount of garden, seldom seen with houses of this age. 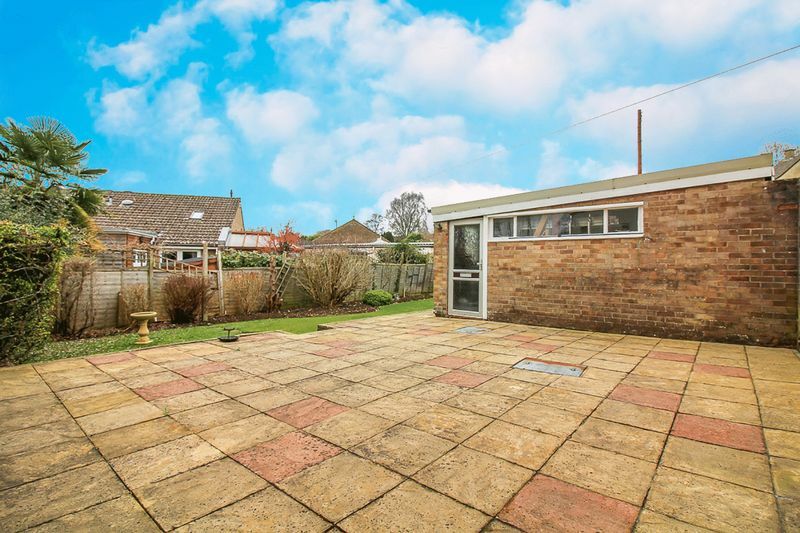 Enclosed by wooden fencing, the garden has two gates to the driveway, an outside tap and a patio light. There is a single garage which benefits from an up and over door as well as power and lighting. 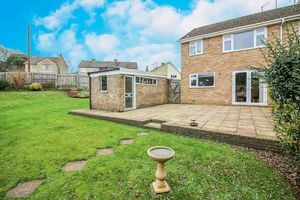 To the front of the garage is a tarmacadam driveway which comfortably provides space for three cars with options for further parking if required.